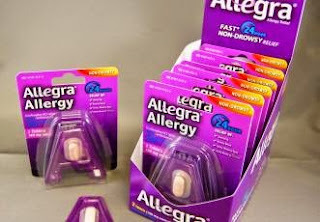 - $3.00 off one Allegra Allergy 5ct, 8ct or 15ct. - $2 coupon for children's Allegra products. "Like" Allegra on Facebook to receive $4 discount on any one children's Allegra product or $5 discount on Allegra, Allegra-D 12 hour or Allegra-D 24 hour.